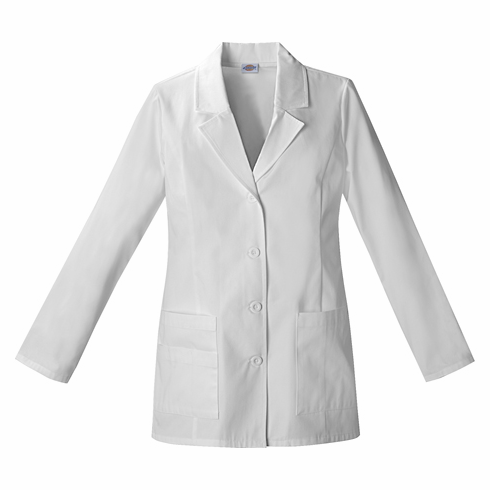 An updated Missy fit fashion lab coat features a notched collar, princess seams And a four button closure. Also featured are two patch pockets and the right pocket has additional sectional pockets for instruments and accessories. Back princess seams and back belt complete this coat. Center back length: 29".